21 Faces is the Down Syndrome Centre’s annual campaign to celebrate the uniqueness and diversity of children with Down syndrome while also aiming to challenge some of the misconceptions about Down syndrome along the way…. Indeed, these 21 faces are no less endearing than the shining faces of any happy child who gets to show off his or her awesome self to the world in a photo shoot. Take, for example, little Archie, who any viewer can see would be a joyful child to have around. This baby of the family, who is soon to be a big brother, looks like a bundle of energy who will embrace his new sibling with love. Archie’s mom’s pride and joy in her son is echoed by his teacher as well. Then there’s Faye, who looks exactly like her profile describes her: a young girl who likes to be the center of attention, and doesn’t like when she doesn’t get her own way. Faye recently took part in a stage show with her Drama Class and loved every minute of it. Her style and charisma is second to none, and this girl has brains to burn. Archie and Faye are only two of the 21, whose faces remind the world that their identity is not rooted in their 47th chromosome, but in their unique individuality. These children share the same personality traits, interests, and attitudes that every other child in the world might have. 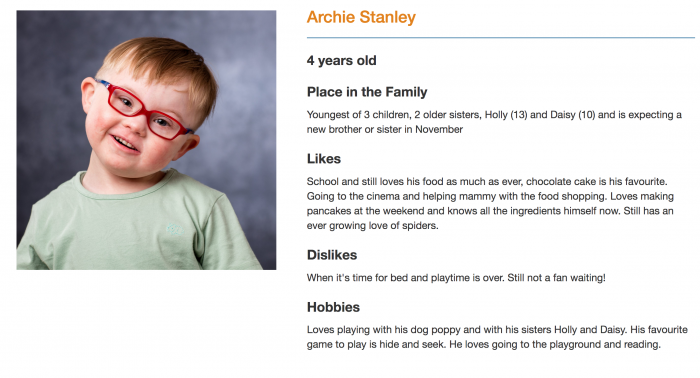 21 Faces is one of several campaigns from the Down Syndrome Centre, which advocates for Down syndrome families. 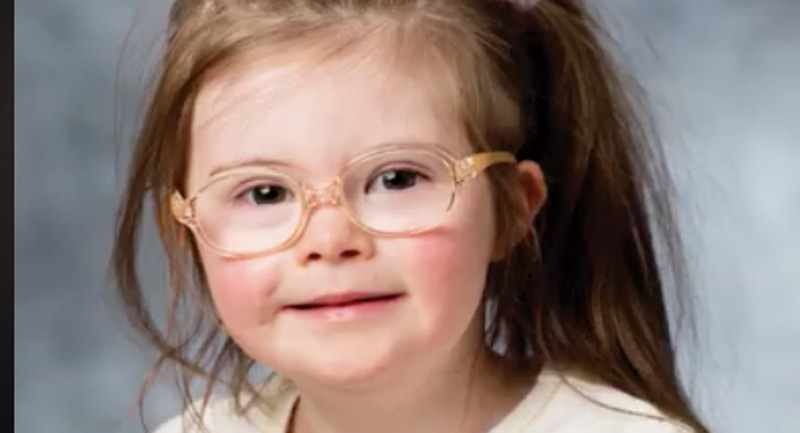 The 21 Faces campaign is just another reminder that an extra chromosome still produces a valuable human being, worth as much as any other person on the planet — and a human being with just as much of a right to life.